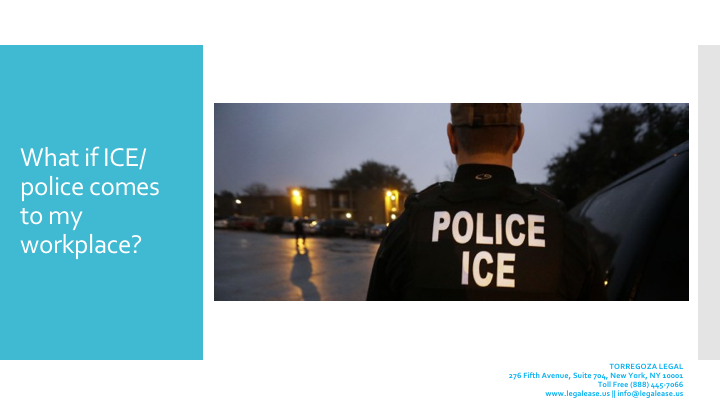 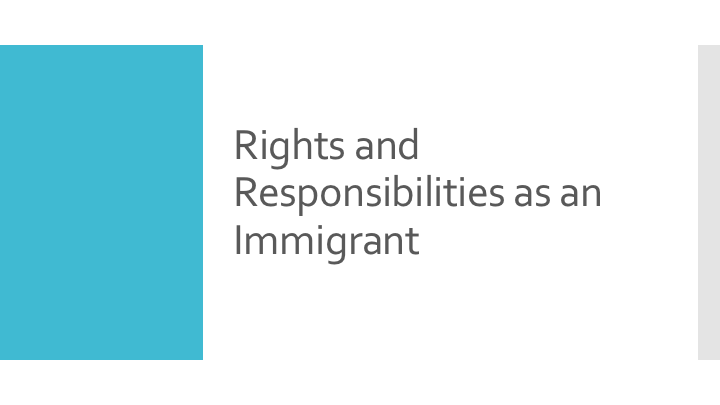 In light of the unpredictable and increased presence of immigration officers in our communities, Rasoulpour Torregoza has prepared this presentation as a guide for immigrants and their families in the event that they come in contact with police or immigration agents. 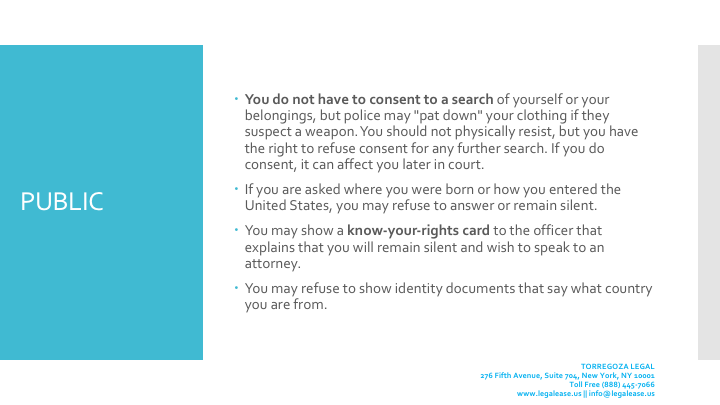 We've also included a short video from the American Civil Liberties Union (ACLU) to help you remember your rights. 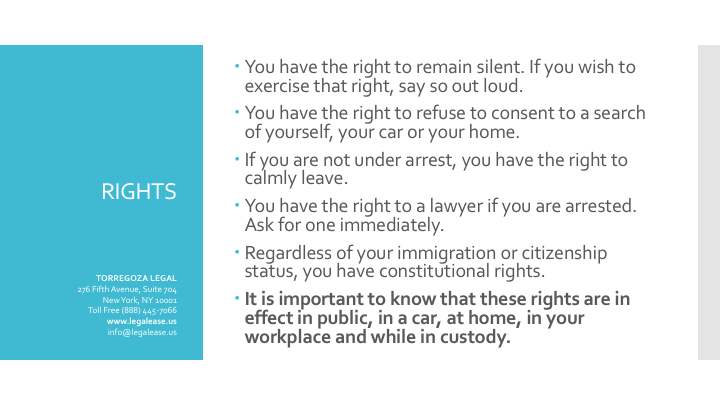 What are my rights if ICE comes to my home, at work, or in public?